Should you undergo chiropractic treatment and physical therapy at the same time for the same condition(s)? If you have been injured in an accident and your doctors suggest several treatments, you are probably inclined to follow the doctors’ orders to maximize your recovery. In fact, you will often hear from lawyers that you need to do just that. 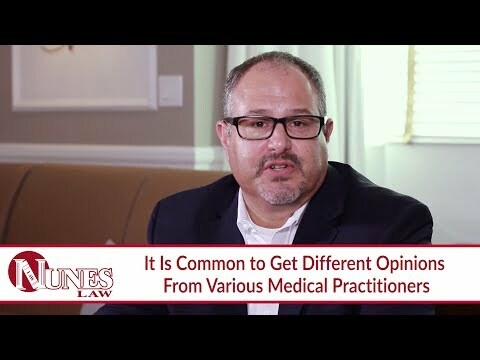 However, exceptions to that approach can arise when different opinions and competing treatments are coming from multiple doctors. If you have one doctor prescribing chiropractic care and another doctor prescribing physical therapy, you need to know that pursuing both is likely a mistake that will result in the treatments canceling each other out in the eyes of your insurance company. This can leave you with two large bills and no help from the insurance company. Discuss these options with each of your doctors so that they all know what treatments the others suggest, and the best option can be determined from this process. Inform your attorney to ensure you avoid treatments that will cancel each other in your claim. Watch the video to learn more. If you have questions about injury claims or would like to discuss your legal matter, I want you to call me at 559-436-0850. I welcome your call. Or, visit our website at http://www.NunesLaw.com to reference our educational library.